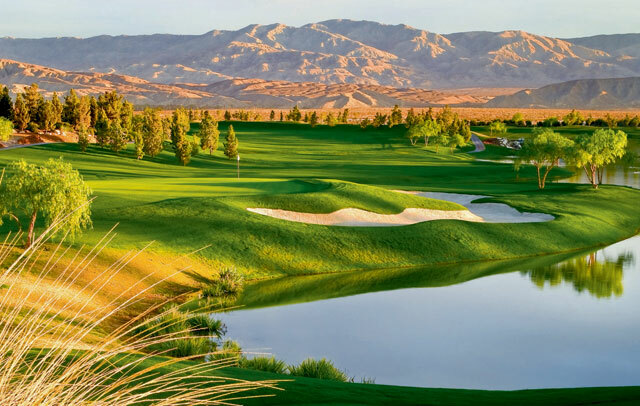 Just a short drive from downtown Palm Springs (and an easy two hour drive from Los Angeles), the Classic Club is one of the world’s great golf destinations. 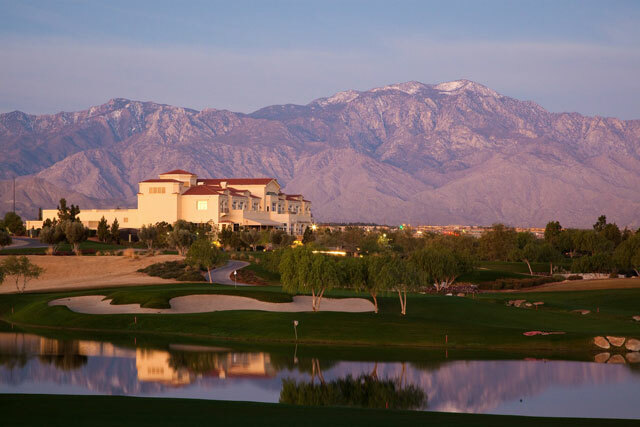 The recipient of several awards and accolades, Classic Club was the host to the PGA Tour’s Bob Hope Chrysler Classic in 2007, 2008 and 2009 and is acclaimed by many as the finest golf facility in the desert. 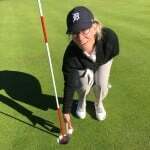 Your private golf instruction with our award winning PGA & LPGA professionals at this world famous Southern California facility, ensures that your Palm Springs golf school will indeed be “the ultimate golf learning experience”®. 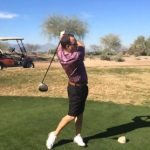 Our PGA & LPGA instructors leverage the lessons they have learned throughout their careers in an intimate setting, to ensure you get the most from your visit to Southern California. Visit our rates page for more information. 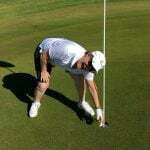 Bird Golf Academy students enjoy one of the premier 18-hole Championship courses in California. 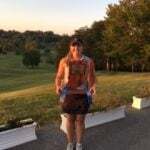 The course was designed by the legendary Arnold Palmer and has been awarded several accolades amongst which are being named to GolfWeek’s “Top Ten New Courses” list in 2008 and being included as one of “America’s Top Golf Courses” by Zagat Survey. Mr. Palmer has masterfully incorporated incredible water features and equally stunning views into his brilliant creation. 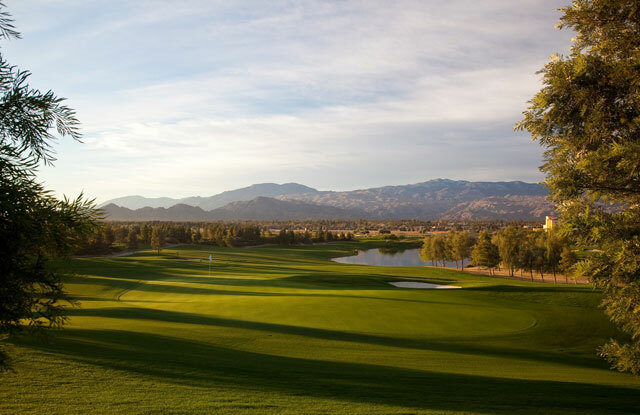 The course features 30 acres of water features, 14 bridges with a host of pine trees that frame the course majestically with the San Jacinto Mountains in the background. 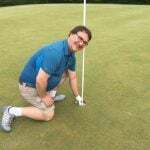 Classic Club has also been accorded designation as a “Certified Audubon Cooperative Sanctuary” through the Audubon Cooperative Sanctuary Program for Golf Courses, an Audubon International program. This prestigious achievement comes from Classic Club’s high degree of environmental quality in areas of wildlife preservation, uses of chemicals and water conservation. All contributing reasons that Classic Club was awarded “Best Golf Course Playing Conditions in Southern CA” by greenskeeper.org. Our students also enjoy superb, private practice areas to work on their games. These state of the art facilities are the perfect environment to hone your new skills. 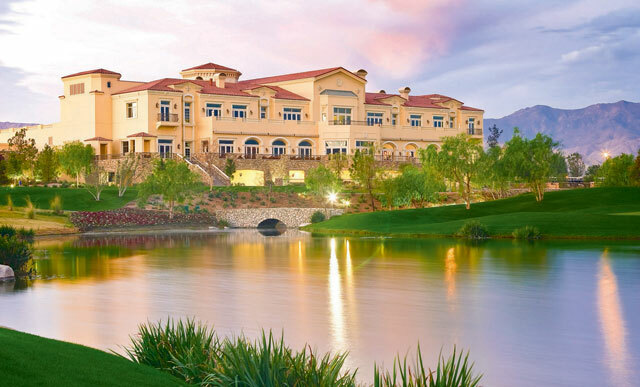 The incredible 63,000 square foot Tuscan village inspired Clubhouse at Classic Club is surely one of the most magnificent in the country, and is a big hit with our students. The Bellatrix restaurant at Classic Club is celebrated as one of the best restaurants in Palm Springs and rightfully so. Executive Chef, Gerard Brunett and his staff are always experimenting to create their superb Mediterranean inspired menus and offerings. A covered terrace that includes outdoor seating which wraps around the restaurant is the perfect venue for our students to unwind after their day. 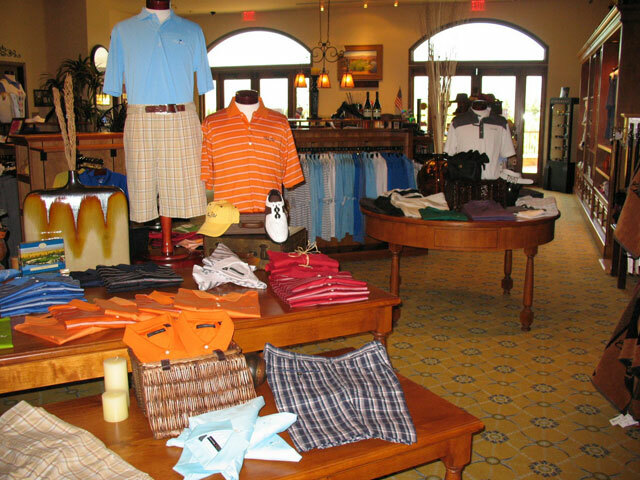 The elegant and magnificently appointed golf shop offers an array of the best men and ladies clothing and brands. Bird Golf students enjoy their luxurious room at the nearby AAA 4-Diamond Hyatt Regency Resort and Spa which includes, a private balcony overlooking the golf facility. Your package includes an upgraded room with a golf view that has a separate living room and work area. Other room features are an oversized work desk, high-speed Internet access, deluxe marble bath with separate tub and shower, superior thread count bedding and thick terry robes. Your balcony gives you spectacular views of the beauty surrounding you and is the perfect setting to unwind in after your golf instruction. 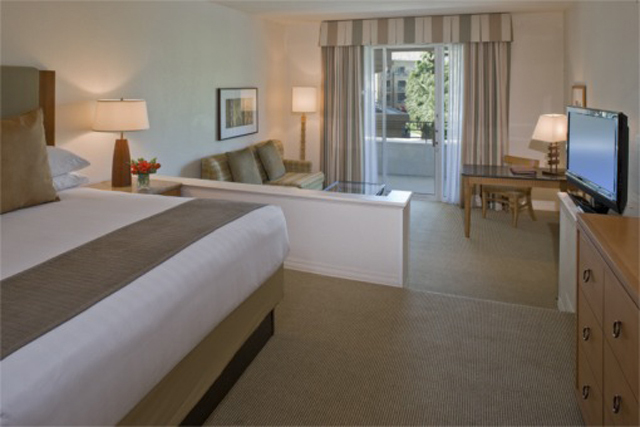 Our Palm Springs golf school students love relaxing in their beautifully appointed room at the Hyatt Regency Resort and Spa overlooking the golf course. 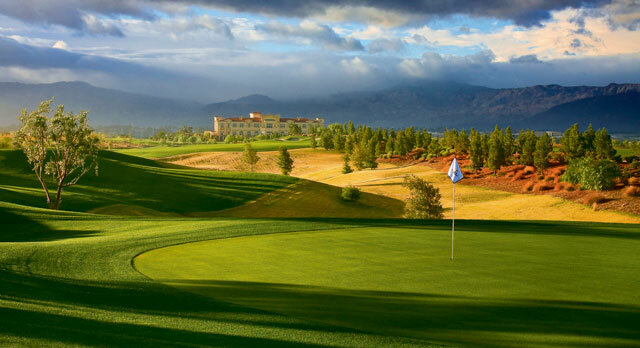 There are also extensive recreational facilities on property including a Championship tennis facility, fitness center, inviting boutiques and the highly acclaimed Agua Serena Spa. Agua Serena has a complete and varied Spa menu and offers an array of services. 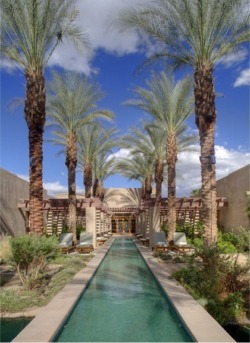 In addition to the Spa, the world renowned Medical and Skin Spa offers a host of cosmetic services and treatments. In the midst of acres of beautifully maintained landscapes and lakes of the resort, you will enjoy the gardens and birds that frequent the grounds. There are 8 swimming pools on property and the 24-hour Hyatt Stay Fit Gym. Students have several fantastic dining options to choose from including the featured restaurant at Lantana. We are very excited with our new partnership with the superlative Classic Club and are certain that this is the perfect environment for your Southern California golf school.